Driven: Elise S vs. Elise SC. The Lotus Position – What Happening At Hethel? The Cholmondeley Castle estate opened its gates to host the sixth annual Pageant of Power in mid-June. Friday kicked off proceedings with the event’s now-traditional heavy rain. By Sunday, though, the skies were clear, the air was warm and the track dry. The informality and charm of the event shone through. For those unfamiliar with the event, the Pageant is a three day celebration of motive power in its many forms. Competitive activities are focused around the narrow sprint course, composed from modified estate access roads. Everywhere else you look, though, there is petrol-fuelled indulgence. Being blessed with abundant natural water features, one of Cholmondeley’s lakes plays host to hovercraft and speedboat racing; overhead barrel aeroplanes and helicopters while scrambler motorcycles leap across unmade fields. It’s a curious mix – but somehow it works rather well. 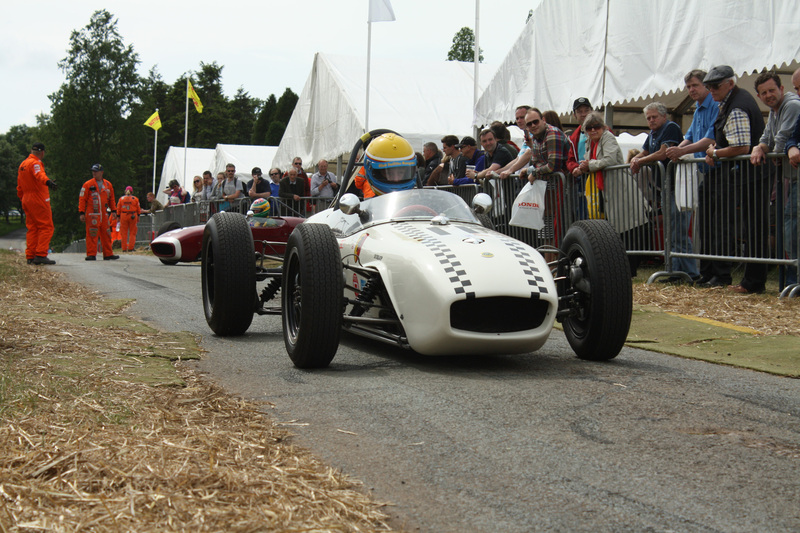 The event is often referred to as ‘the Goodwood of the North’. In terms of rough content this is broadly true, but the Pageant has developed its own identity over recent years. Lacking Goodwood’s huge corporate presence and backing, Cholmondeley is imbued with an atmosphere more akin to a local agricultural show – though one blessed with a phenomenal line-up of mouth-watering motors. One manufacturer PR revealed that hosting a small stand for the three day event had cost it less than a thousand pounds. Compare that to the £30,000 the same pitch would have set it back at Goodwood’s Festival of Speed and it’s clear to see that Cholmondeley’s aspirations for its event are set slightly lower than Lord March’s for Goodwood. That in itself is no bad thing, and for ease of access and old-school charm, the Pageant scores highly. That is not to say it lacks clout. Bentley, Aston Martin and Lamborghini all used the event as a shop window for their products with fine displays. Bentley chose the event to showcase the enormous hospitality unit it will take to Goodwood, proudly displaying the prototype GT3 race car which will see the marque hit the race circuits once again. Bentley also used Sunday as a chance to remember the 10th anniversary of its last Le Mans 24 Hours win. Victorious driver that day, Guy Smith, was on hand with the triumphant Speed 8. Ten years to the minute since that great win, he was reunited with the car before spearing out onto the course in clouds of tyre smoke. Aston Martin celebrated its centenary in style with an elegant display of its current model range. Out on the sprint course the manufacturer featured its own class, with the very latest V12 Vantage S squaring up to highly modified track-prepared DB6s from a much earlier era. The Pageant is one of several events this year which will see one of Britain’s best-loved car makers celebrate a remarkable landmark anniversary. The sprint course is the nucleus of the event and this year gave rise to some terrific action. Just 1.2 miles long and featuring – rather unusually – a brace of abrupt hump-backed bridges, this is a challenging layout. Lined as it is with haybales, it’s not a place to make a mistake, either. A huge variety of machines ranged themselves against this tricky course. From vast aero-engined pre-war monsters to ground effect grand prix weapons, via world rally cars, sidecars, a propeller-driven Messerschmitt micro-car and virtually everything imaginable in between. The battle for fastest time became a fierce one on Sunday when track conditions were at their best. Ultimately the course record was lowered by former British F3 champ Robbie Kerr to the tune of four seconds. 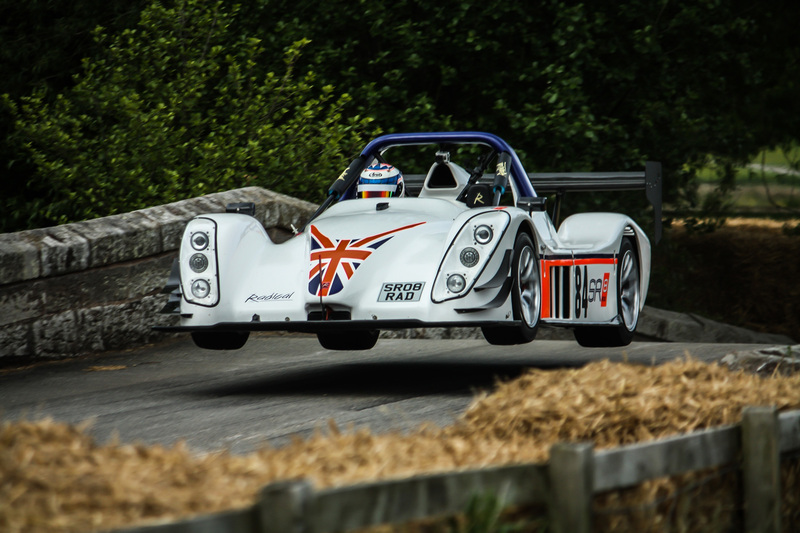 He piloted a Radical SR8-RX in a quite phenomenal display of raw talent – search for it on YouTube if you have 90 seconds to spare. 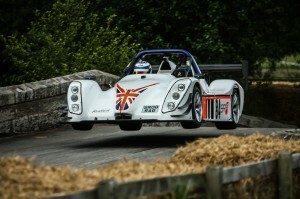 He managed to beat Scott Mansell’s Caterham SP/300.R by less than half a second. It was mesmeric stuff from both drivers and the sight of these sports prototypes high in the air, all four wheels off the ground, over the bridges made for the weekend’s most dramatic spectacle. Of course, being a celebration of power, Lotus was well-represented. While lavish hospitality units may be a distant memory from the Bahar era, several fine racing Lotuses from the marque’s past put on spirited runs over the sprint course. Stalwart Malcolm Ricketts was on hand in his Alfa Romeo powered Type 18, alongside John Elliott’s Climax engine version. 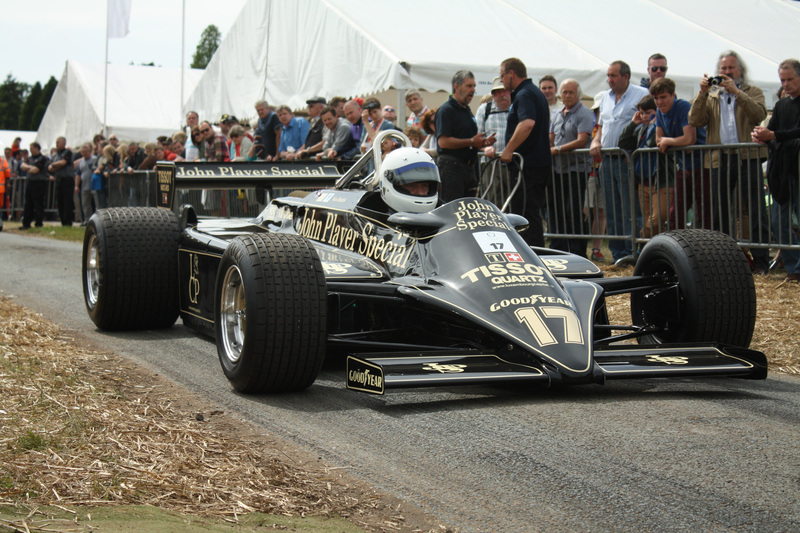 Resplendent in its black and gold JPS livery, a Type 87 formerly raced by Nigel Mansell cut a considerable dash – the sight of it lifting its skirts over the second bridge a particularly vivid image. There was also Allan Rennie’s wonderful Martin engined Type 35. This car deserves an article all of its own but, briefly, it is a reconstruction of a 1966 grand prix car. The lightweight V8 engine was mated to a Type 35 F2 chassis and showed considerable potential until it was comprehensively destroyed by Piers Courage. Fast forward 35 years and the unique V8 Martin engine was rediscovered and reunited with a similar chassis amid a pain-staking 5,000 hour rebuild. Rennie now races the Type 35 with great commitment – it looks and sounds wonderful. The Pageant of Power now feels like it’s found its own identity. Based in the North West of England, it is far enough away geographically and conceptually from Goodwood that they cannot rationally be considered rivals. The Pageant majors on access, informality and value – it manages those perfectly and has grown to become a fine event. One can only hope that Sunday’s glorious sunshine becomes the latest annual Pageant tradition. SELOC would like to thank Andrew for allowing us to share his article. You can find more of his work on his website, Motor Car Diaries. © SELOC Ltd. Registered in England No.04921182. Registered Office: 75 Main Road, Gidea Park, Romford, Essex, RM2 5EL, England. SELOC is an entirely independent, not-for-profit Club. It is run by enthusiasts, for enthusiasts and is not connected with Lotus Cars in any way.